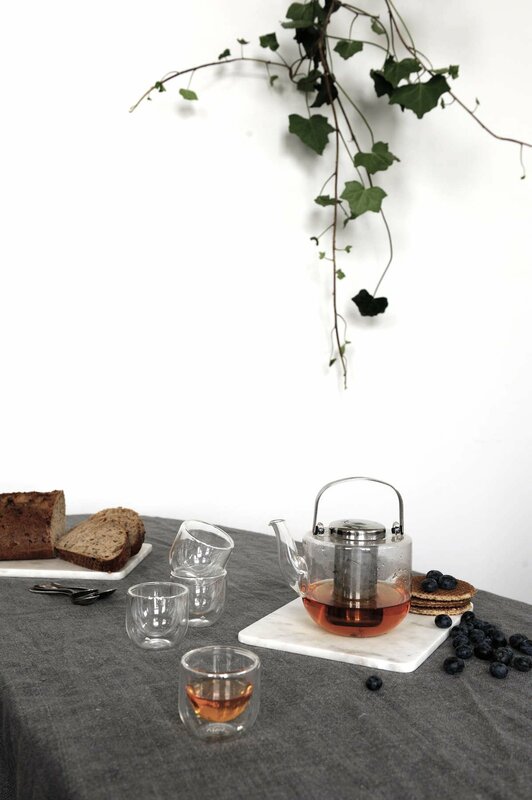 Discover a new depth of flavour from your favourite tea with our bestselling Bjorn teapot. Savour the peaceful experience of watching your tea grow even richer as it brews to perfection inside this organic glass body. Material: Borosilicate. Silicone. Stainless steel. Size: L: 15.0 cm - W: 10.5 cm - H: 10.5 cm - Vol: 0.75 L / 25.00 fl. oz. Stealing time with your favourite book can only be made better with the Bjorn by your side and its clean design makes for a perfect centrepiece when catching up with friends too. Is there anything more satisfying than brewing the perfect pot of tea? Sometimes life is just hard. Work takes priority over our social lives, study over our downtime, and any plans for relaxation and self-care are quickly cancelled. Is your life too hectic to make those little moments of joy a priority? Enough is enough. The Bjorn teapot is here to help you take back those moments. 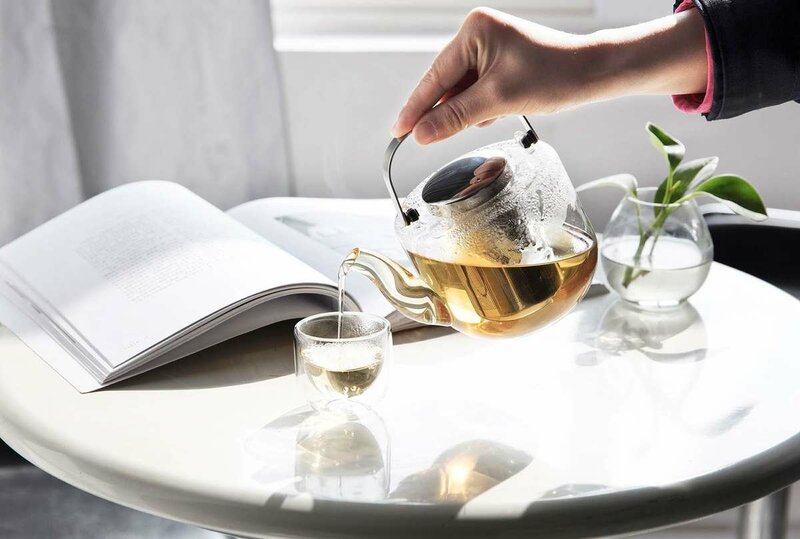 With its fresh design paired with classic cosiness, this beautifully considered teapot is the one you’ll want to make time for. The sensory experience of watching your tea brew to perfection in the Bjorn teapot will comfort you during your hardest days. It’ll bring you clarity when your mind won’t stop reeling. It’ll enhance times of relaxation and bring extra warmth into your home. Due to the Bjorn’s clever design, the stainless steel handle will remain cool to the touch so you can pour your tea with ease. Both tea bags and loose leaf teas can be used and brewed to perfection in the Bjorn. 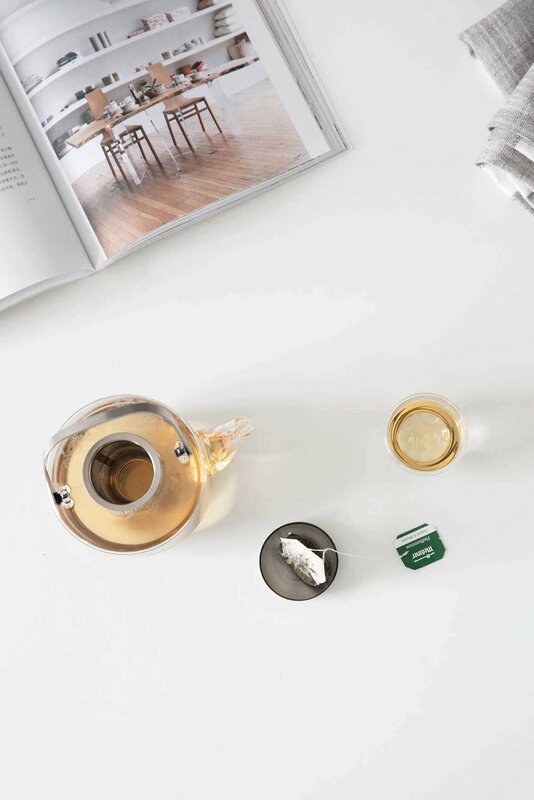 Yes, the infuser can be easily removed making it easy to clean and ideal for preventing an over-brewed pot of tea. Depending on how big you like your cups of tea, the Bjorn should cater for 2-3 people. Perfect for you and a few friends! The Bjorn can easily be used with and without the fine mesh infuser.